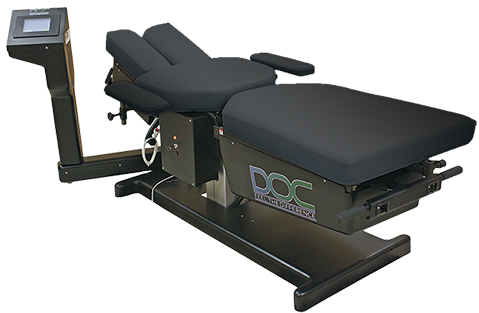 Spinal decompression is a non-surgical therapy that is very effective in the treatment of disc and other nerve related problems. This treatment takes the pressure off the pinched nerves and discs by gently stretching the spine. This helps promote movement of water, oxygen and nutrient-rich fluids into the discs. During treatment, the targeted area is distracted and relaxed at specific intervals, allowing for the proper treatment of the affected area. The procedure takes about 20-30 minutes per visit and feels like a “gentle stretch”. Are you considering surgery for your pain? Call today to see if we can help you first!